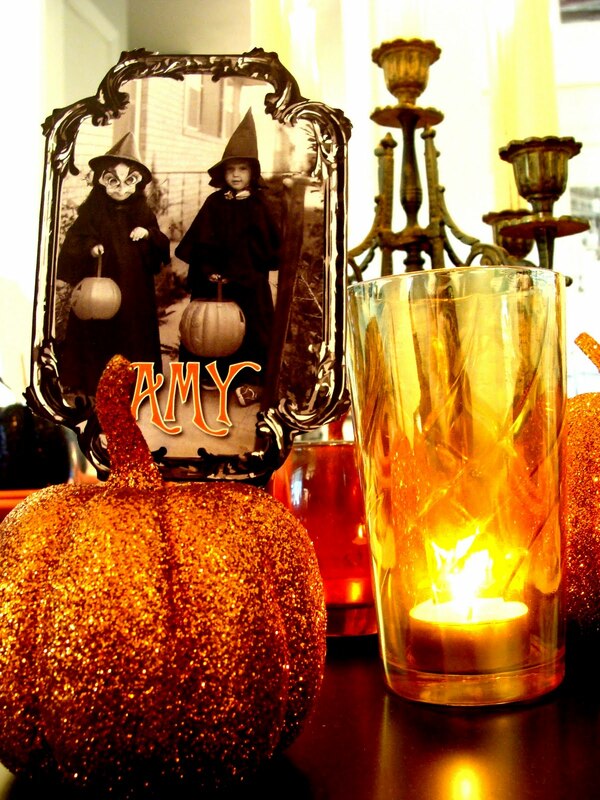 *originally posted October 2010 For our third craft project, we were asked to create something with real or fake pumpkins. No problem right? Yeah. That’s what I thought. And then I realized that every possible thing under the sun has already been done with pumpkins. It’s one of those moments where you have to shrug and mumble “oh well” before forging ahead. 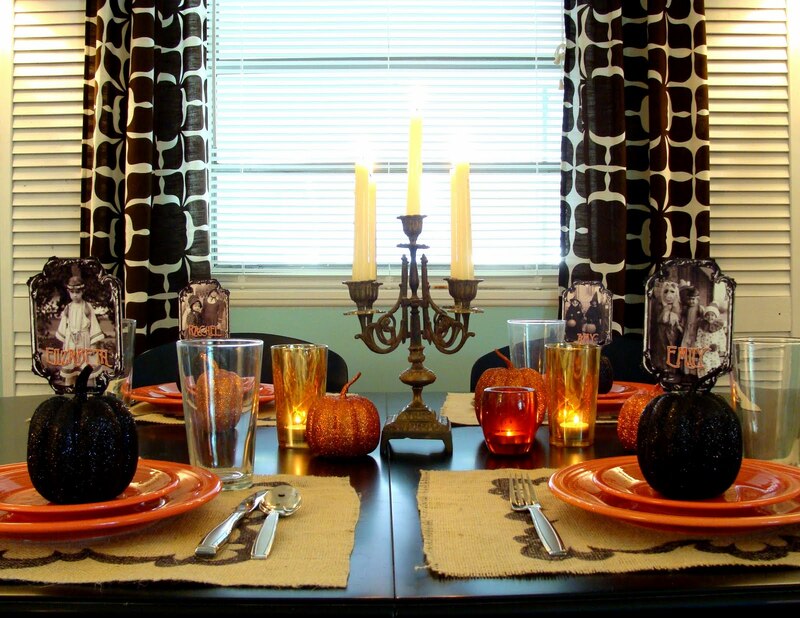 I decided to use my Thanksgiving place card craft from last year as a jumping off point. Instructions: Scan old family photos into computer. Open photos in a basic program for photo viewing and adjustment (for example, Microsoft Picture Manager or Photoshop). If the photos are in color, adjust the saturation levels until the photo is black and white. Using same program (or something similar to Microsoft Paint or Photoshop), use the “text” feature to type the name of the person across the bottom of the picture. Insert toothpick halfway into foam pumpkins. Affix the photo to the top of the toothpick with tape. Place on plate and you’re ready for dinner! 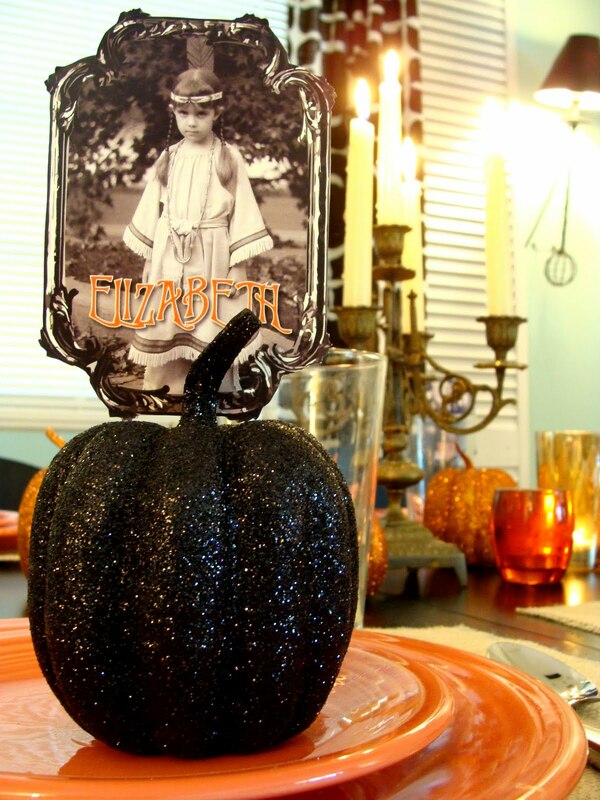 *If pre-glittered foam pumpkins are not available, use plain foam pumpkins and apply spray glue and glitter. It will probably take three to four applications to get a heavy concentration of glitter.